If you ever think about traveling to Russia and visiting Moscow, you might like to visit the Moscow subway. 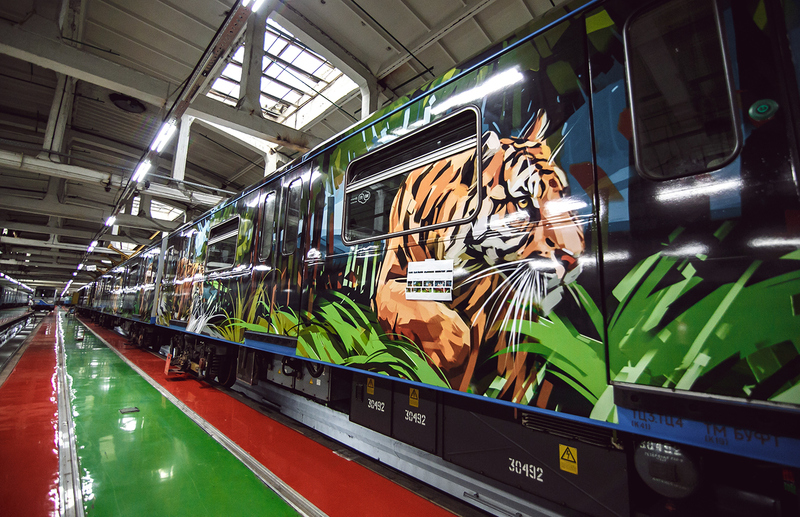 The illustrations for the “Striped Express”, a train devoted to the world’s two rarest cats that live in Russia’s Far East (Amur tiger, Amur leopard) and the problems of environmental protection, has been launched in Moscow Metro. 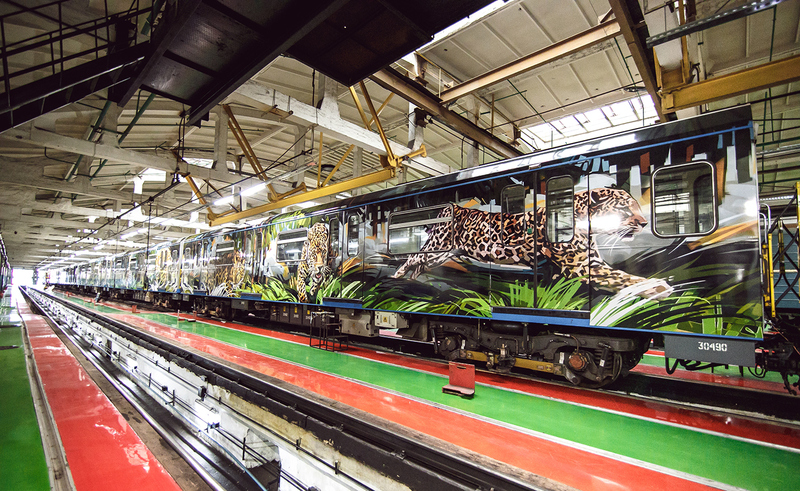 The Striped Express was created to promote the image of the rare felines and to form people’s respect for these animals and their habitat. 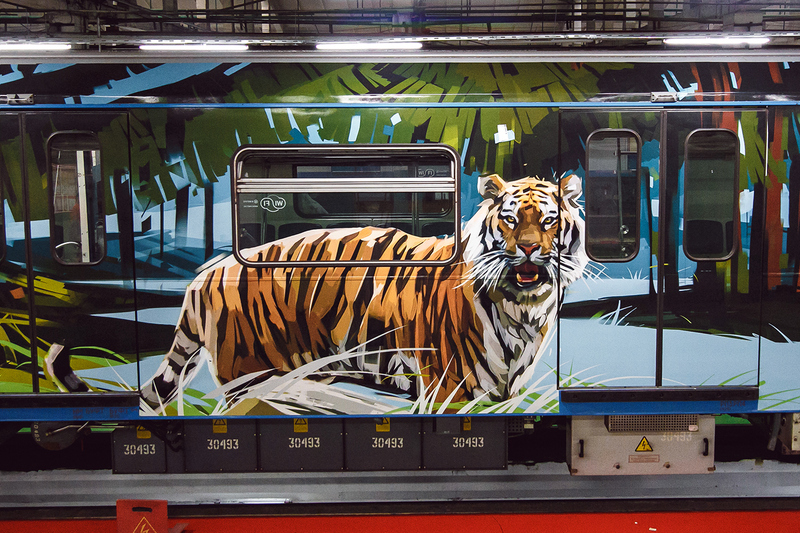 This another themed train of Moscow’s world-famous Metro subway system, was wonderfully drawn by the very artistic Viktor Miller-Gausa. 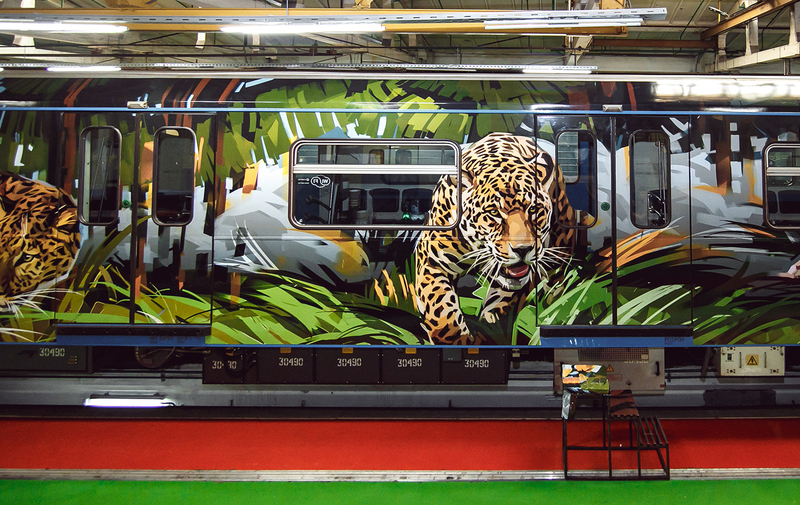 Viktor was commissioned by the capital’s underground transport to decorate metro cars with large-scale illustrations. Viktor Miller-Gausa is an Illustrator from Saint Petersburg, Russia. He is the Co-owner of JMB Workshop and the Creative Director at JMB Magazine. 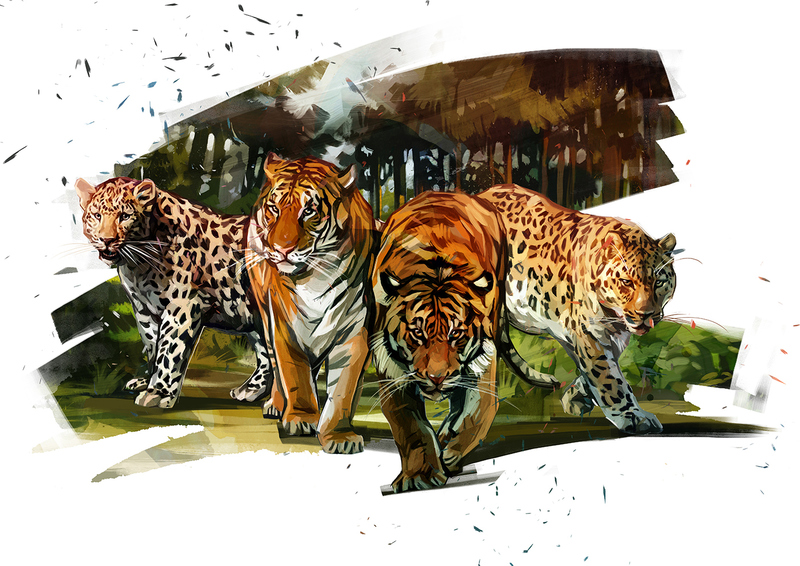 Victor has many awards from different illustration competitions that he received primarily for work done during his student years. He is very fond and passionate about graphics design, drawing and anatomy. With that, he has done several projects for his clients and other self-projects. He has created caricatures of his favorite celebrities and drawing portraits of his friends, watercolor paintings, illustrations for magazines, prints for clothes, Latin and Cyrillic alphabets prints on t-shirt, amongst others. 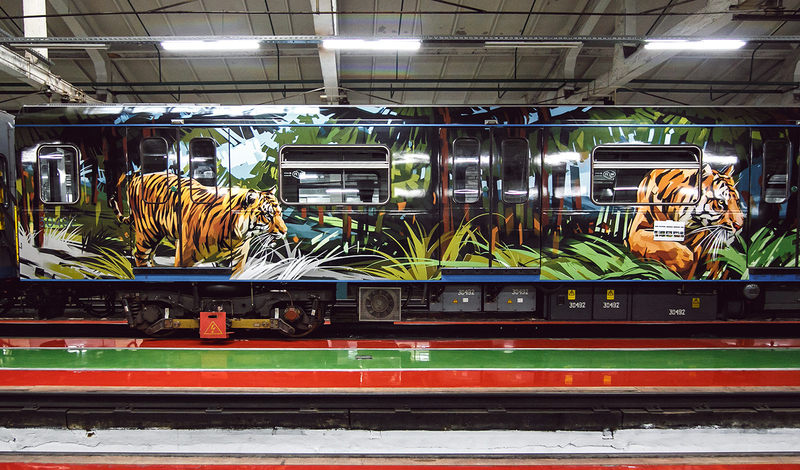 The Big Cats in Subway is one of his most incredible project. 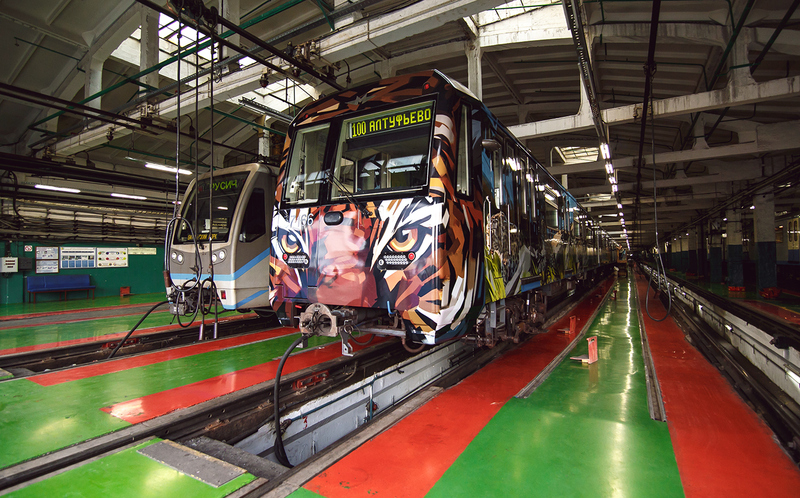 Come and see these big cats ROAR!